LG hosting mysterious event August 7, could it be next-gen Optimus G time? Will the Snapdragon 800 spread its wings? Big phone in the Big Apple? It's rare we have such advanced warning for an industry happening, but LG considerately gave us a heads up today that it's planning an "international media event" in New York City on August 7. Thanks guys. We'll mark our calendars. The timing is intriguing. Wednesday the company announced that it and Qualcomm are joining forces to bestow the Snapdragon 800 inside the Optimus G's successor. 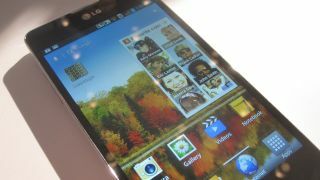 It could be the Optimus G2, or new type of G altogether. We also caught wind of LG developing a phone with an always-on voice command function, a handset also said to pack the supped-up processor. More information is due in the coming weeks, but you can be sure TechRadar will be here to bring you all the latest. The world is crackling with news, and we've got all the need-to-know news nuggets for in our blip section.